Clarice: Here’s my icebreaker question. Since New Hampshire is their birthplace, how do you support Tupperware and paintball? Teresa: Whenever I had to bring treats to school for a party, my mom would always put them in a large red and white Tupperware container. So for me, Tupperware means dessert, which means happiness. However, I do not personally support paintball—if I may lapse into the New England vernacular here, I’m a “wicked easy tahget” in a game like that. Clarice: Can you tell us what are you currently working on and/or projects you have planned? Teresa: At this time, my main focus is promoting Prayers for Oppa, working on the second draft of Porkins and Beardsley, and writing my humor column. In the pipeline, I have a compilation of my humor columns, a collection of short stories based on the adventures of my stuffed animals, and a screenplay about a Japanese-American street musician who gives his life to Christ. Teresa: My intention is to go with whatever publication method best suits that particular work. The publishing landscape has changed significantly in recent years, with smaller publishing houses and self-publishing becoming increasingly viable options. To learn more about Teresa Santoski and her writing, visit her website at www.teresasantoski.com. 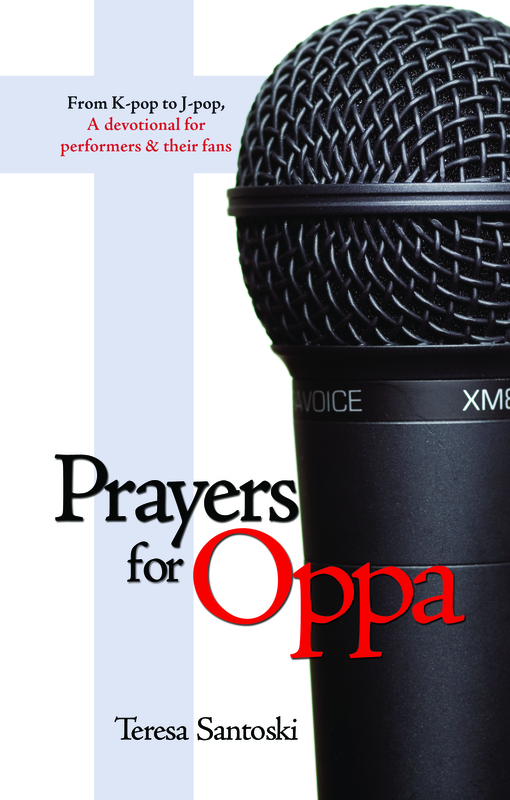 A committed Christian and an enthusiast of East Asian pop culture, Teresa combined these passions to write Prayers for Oppa, a devotional for performers and their fans with a focus on the East Asian entertainment industry. The book was published in November 2013 and is available in print and as an ebook. Purchase information can be found here. Categories: Family, Writing | Tags: author, J-pop, k-pop, prayers for oppa | Permalink. 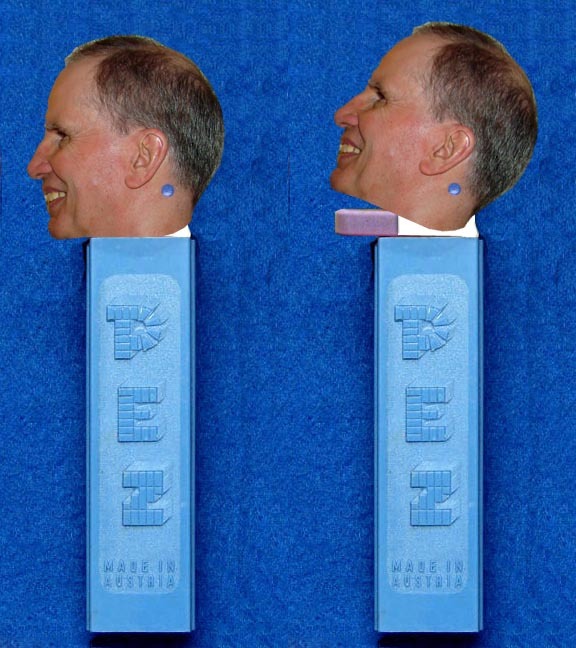 Sometimes my husband is like one giant PEZ dispenser. I never know what flavor-filled fact will pop out of his mouth. Because of his propensity to store up miscellaneous bits of colorful information, I’ve learned a lot of things I never wanted to know. Bernardo O’Higgins is considered one of Chile’s founding fathers. He was an independence leader in the early 1800s credited for helping free Chile from Spain. The cracking noise a whip makes happens when the end of the whip breaks the sound barrier. My husband would be comfortable ordering breakfast at Horn & Hardart if any were still in existence. How Clovis, New Mexico got its name. The Australian lyrebird can imitate many bird calls along with the sound of chainsaws, car alarms, gun shots, and camera shutters. It’s not a liar bird, even though it fakes these sounds. Its tail is shaped like a lyre. Dragons do not have hands, just feet, and probably don’t eat dumplings. I think my husband checks the radar before he goes out to check the mail. Okay, I’m exaggerating, but more often than not, he knows what’s going on in all 50 states. Since I only live in New Hampshire, the importance of the wind speed in Kansas is lost on me. And what do I know from snow ablation to advection fog? Cold fronts to and high pressures? Cirrus to cumulonimbus clouds? Dew points to dry-line bulges? All I want to know is if I need a coat or an umbrella. And if I’m not going out that day, why should I care? 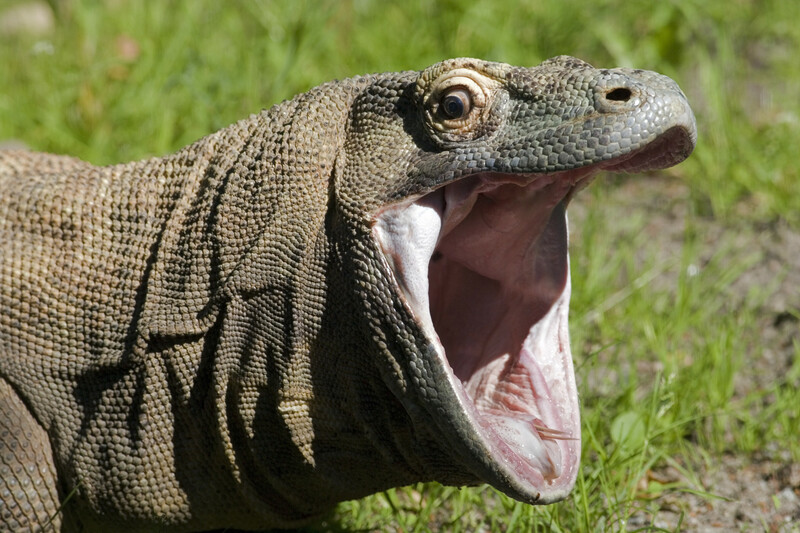 Haven’t I got enough to worry about now that I know dragons are real? Truthfully, I am never bored and usually amazed at how these subjects come up. Here’s our conversation from lunch yesterday, after some preliminary chit chat about the invasion of ducks in Thailand — the big news story that day. Everyone has things in life they have a vague curiosity about, things that don’t always warrant an all out search on Google. These are the things about which I ask my husband. For instance, over breakfast this morning, when I asked him to tell me something about whales, here’s how it went. 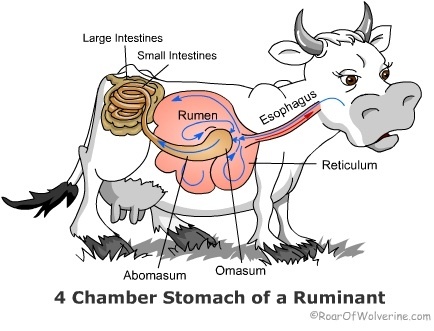 ME: “Ruminants?” I had no idea what he meant. Facts go in his head, facts come out. Sorta like cerebral cud. But better tasting. Like PEZ. Welcome First-time Author Jeremiah Peters! 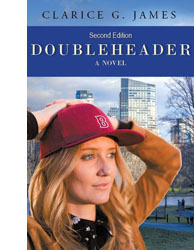 The writers critique group I began in Nashua, New Hampshire got happier, crazier, and more interesting the night Jeremiah Peters showed up. I’m certain that he and his compelling stories would make any gathering more interesting, whether in a critique group, in the pulpit, or at home surrounded by children and grandchildren. Jeremiah’s first novel, A Message to Deliver, published by HopeSprings Books, is debuting the first week in June 2014. CLARICE: Welcome, Jeremiah! Not everyone who writes is a natural storyteller. You are. When did you start telling stories? When did you decide to put them on paper? JEREMIAH: First of all, let me say thanks for allowing me this time. It’s a privilege! I guess I’ve always liked to create stories. I remember sharing scary stories with friends, sometimes around the campfire. The first story I got paid for was back in fifth grade. My older sister was in seventh grade. Her English assignment was to “Write A Story.” She was having trouble, so I put together this four-page thing. It had evil Twains and good Trids. She got a B-. I thought that was pretty good. I think she paid me a quarter. CLARICE: Who has influenced your writing the most and how? JEREMIAH: I loved Ray Bradbury. His writings were imaginative. They aggravated me, too, not always turning out the way I wanted. Also, I loved Agatha Christie. She keeps me guessing until the end. I never figure out her mysteries. I guess I’m a little slow. CLARICE: Who has supported you the most in your writing dream and how? JEREMIAH: No contest. My wonderful wife, Jodie. I don’t know how many times I’ve been ready to quit, doubting my own abilities, when she’s been there to encourage me. She’s always believed in me. Wait. I feel a Kenny Rogers’ song coming on . . . “She believes in me. I’ll never know just what she sees in me . . . ” I think I’m going to cry. CLARICE: Go ahead and cry Jeremiah. I’ll wait . . . and probably cry, too, especially if you sing. Okay, are you composed enough to answer another question? Good. I first met you a few years ago at the writers’ critique group I was facilitating. Now you and I are in the same fiction critique group. What do you think you gain personally from being an active member in a critique group? JEREMIAH: Abuse. You people are too mean! Just kidding. The group offers much. First of all, we share advice about our work. I’m always interested in hearing what the others have to say. Being in a critique group also compels us to write. You don’t want to go empty-handed. CLARICE: Empty-handed? You mean like you did last month? Moving along . . . Your first published book, A Message to Deliver published by HopeSprings Books debuts this week. How would you describe the story in 50 words or less? 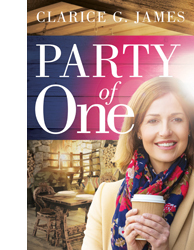 JEREMIAH: A woman, sent from Heaven to deliver God’s message of love, gets caught in a battle against an abortion center, and entangled in the spiritual warfare between an angel and a demon. When the secrets of her own past are revealed, she faces the ultimate question: Is God’s love and forgiveness enough to cover her sins? I think that was a couple more than fifty. Sorry about that. A Message to Deliver is a work of speculative fiction. Do you write in other genres? What are you currently working on and what other projects do you have planned? JEREMIAH: I’ve dabbled in middle reader fiction in a trilogy called The Adventures of Amelia Black. Also, this summer, at a publisher’s suggestion, I’m working on a Christian fantasy book, tentatively titled The Dragons Are Lying. CLARICE: How do you come up with these varied ideas? JEREMIAH: I have a couple of theories. 1) While I’m sleeping, Armenian leprechauns unzip the back of my head and stick the ideas in my brain. 2) There is an alternate universe where all these stories are real, and somehow certain people on our world are tapped into this reality. I lean towards the Armenian leprechauns. Sounds crazy, but isn’t it better than me shrugging my shoulders and mumbling, “I dunno”? CLARICE: Maybe. But here’s a thought to ponder. An “I dunno” answer might avoid the men in white coats showing up. Next question . . .
As a committed Christian, do you plan to seek publication solely in the Christian market? If not, how do you see yourself fitting into the general publishing market? JEREMIAH: I’d like to stay in the Christian market if I can. If I were to fit into the regular market it would have to be a publishing house that would accept my Christian world view. CLARICE: What is an average day in the life of Jeremiah Peters look like? JEREMIAH: I guess it’s really kind of dull. I’m a Pastor, so I spend time doing my churchly duties: visiting the sick, preparing Bible studies and sermons, vanquishing evil, getting cats out of trees. Stuff like that. Also, I try to write each day. Unfortunately, I don’t always get this done. CLARICE: Now, how would your wife Jodie answer that same question? 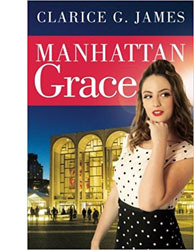 CLARICE: What do you want your readers to know about you? What do you want them to experience while reading your books? In a book like A Message to Deliver it goes beyond that. I want people to think. From the beginning, I said that book was about forgiveness–forgiveness from God, forgiveness of others, and forgiveness of self. I hope when people read the book, it will make them deal with those issues in their own lives. CLARICE: One last question. Is it possible for you to be totally serious for any length of time? Do you think it’s even necessary? JEREMIAH: I’m sorry, Clarice. I couldn’t hear you. There was a rubber chicken sticking out of my ear. It’s an interesting question, one that I struggle with in blogging. Sometimes I blog on very serious stuff, small devotional things. Other times, I’m trying to raise money for poor boneless chickens. Can you imagine going through life with no bones? It’s a dilemma. But to answer your question, yes, I can be serious. It’s simply that when I get together with people, like our critique group, I kind of cut loose a bit. However, if you’d like to talk to me of serious issues, like salvation, the Christian walk, God’s plan for this world, I am here and willing. 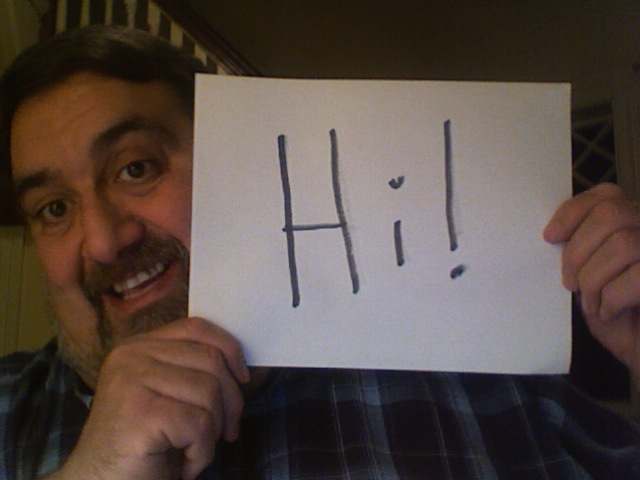 To learn more about Jeremiah Peters visit his blog Ramblings and Reflections or on Facebook. When Jeremiah is not writing you can find him preaching at the New Hope Church (150 Berkeley Street, Lawrence, MA) and sitting on his deck in Sandown, NH, enjoying the wild life. A Message to Deliver, published in June 2014 by HopeSprings Books, is now available on Amazon.